On November 29, 2012, Open Labs announced a new music software, StageLight, which they described as "GarageBand for PCs." The software company worked once again with PC manufacturer Dell and with Linkin Park. Stagelight was designed to take advantage of the touchscreen-centric nature of Windows 8, although it also works with a standard QWERTY keyboard and mouse. It allows regular instruments like guitars or drums to be used as well, as long as the user’s computer has the the proper inputs. "If I’m brand new to this, I want something that’s intuitive. I want it to feel like a tablet. I want it to feel like something that, like, an 8-year-old could open it up and do it. If you were to compare the two side by-side, I think the UI of StageLight absolutely destroys Music OS." "We’ve created a usable tool that teaches musicians and wannabe musicians essentially how to use a [digital audio workstation] interface." On December 12, 2012, the "Stagelight: Linkin Park Edition" software was released and a free download was offered to LP Underground members. 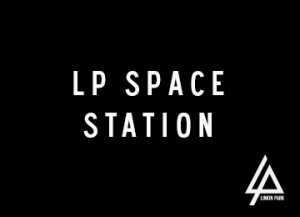 "Space Station" was included in the batch of songs/samples in the software. Released as part of Stagelight (Linkin Park Edition). This page was last edited on 31 October 2017, at 20:06.